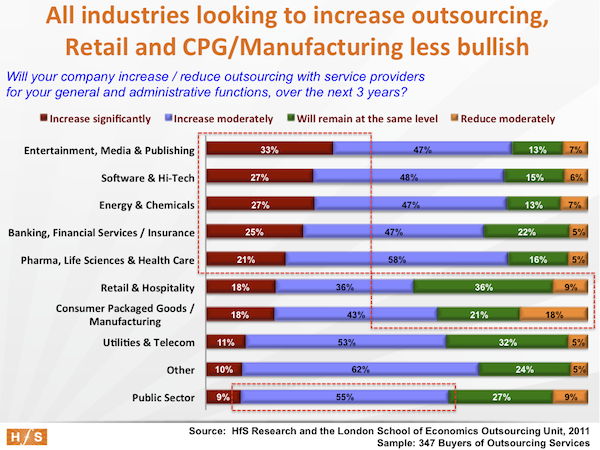 Our recent State of Outsourcing study, conducted with the Outsourcing Unit at the London School of Economics, has been uncovering many home-truths about why some industries are more motivated than others to externalize their support operations to third-parties. However, one factor that is continuously being reinforced, is that those organizations being impacted by radical, fundamental shifts to their very industry economics, are more prepared than ever to admit they need to look outside of their current organization boundaries to keep their business operations cost-competitive. Simply-put, secular change crystallizes options for businesses and the outsourcing planning process often becomes more clear-cut as a result. 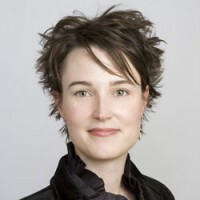 Increasingly, we are seeing a realization that retaining some processes internally isn't - in any shape of form - bringing organizations a competitive edge, and these sourcing decisions are no longer only about cost - they represent a fundamental change in the way business leaders now view outsourcing as an integral function of their operations. For example, does a bank lead its market because it processes mortgage applications better than its competitors? Or would its management rather find someone else to process them at lower cost, using industry-standard process flows and technology, while they focus internal competency on business functions that can help them gain marketshare, such as smarter customer targeting, or upselling new product through customer support channels etc. And does a retailer really need to maintain its entire application portfolio inhouse, when it can devote its internal talent and IT resources to improving its customers' online shopping experience, where it can actually grow its business? Entertainment, media and publishing: The crash of newspapers and network news; The Web 2.0 impact; Radical new distribution and business models. Software and Hi-Tech: Rapid commodotization of packaged software models; Impact of Cloud computing on licensing and pricing dynamics; Dominance of India, China and other low-cost nations to drive out the cost of development; Willingness to "Eat their own dog-food" as providers of outsourced services themselves. Energy & Chemicals: High price volatility for oil products; high capital costs of oil exploration projects; Shortages of talent; Aging infrastructure and constantly-changing compliance requirements. Banks: Massive de-leveraging; Re-regulation; Unprecedented debt/credit pressures. Insurance: New compliance measures (Solvency II, ObamaCare) causing unprecedented administrative cost and workload; Shortage of risk analysts and actuaries to take on the higher level work. 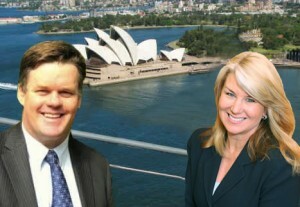 Phil Hassey of HfS and Dawn Evans of SIG join forces in Sydney. Click picture to register. 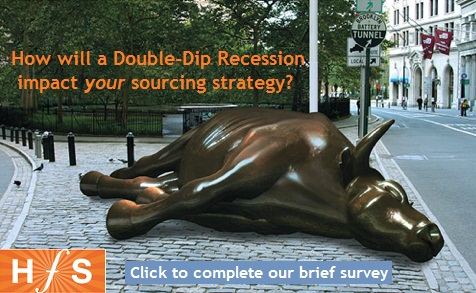 If there's one event to turn the world of sourcing upside-down, it's this one. Yes, HfS' own Phil Hassey will be welcoming Dawn Evans, President and CEO of our partner the Sourcing Interests Group, to Sydney in early September for a terrific event---SIG's Sydney Regional Roundtable on September 7 and 8. And - as usual - we've wangled a great deal for our cost-savvy HfS readers: FREE ADMISSION. That's right--just use promo code HfS1000 and you'll get in free. The agenda will be packed with case studies and panel discussions that will leave you with valuable “next practice” intellectual capital. Some of the topics include Trends and Best Practices in Sourcing and Outsourcing, Cloud Computing, Best Practices in Supplier Performance Management, Talent Management and Succession Planning, Offshoring and eSourcing. Register now to get FREE ADMISSION with promo code HfS1000 for SIG's Sydney Regional Roundtable on September 7 and 8! HP: did it just rip off its Band-Aid? HP may have just ripped off its own Band-Aid, relieving the agony quickly and avoiding a slow and painful journey at a time when the economy sits on a knife-edge. Today marks a jolting and sobering inflection point to a global mega-business that was in serious danger of developing multiple-personality disorder. We've been trying to figure out what HP's game-plan is for sometime now, as it attempted a multi-faceted series of strategies that go after hardware, software, infrastructure, mobility, consumer technology, IT services and BPO markets. Oh, and there's Cloud in there somewhere too. Quite simply, HP loves the high-margins of the enterprise IT business and has been trying to find its sweet-spot. With Léo Apotheker taking the helm, we even predicted a potential move to acquire SAP could be on the cards, especially with the defection of a host of senior SAP executives onto Léo's team. That may even still happen in the future, but much less likely in the near-term with the current seismic changes going on with the business. Today's announcements have been a bold move to redefine the business, as it spins off its PC, Touchpad and WebOS mobile businesses. It also announced its intention to make a $10bn acquisition of enterprise information retrieval software firm, Autonomy. So in one full swoop, the firm is moving away from consumer electronics and defining its future strategy as an enterprise IT systems, software and services provider. While the IT industry is scoffing with amusement at the quick u-turn made on its tablet strategy (in fact, there's a TouchPad ad running as I type), its apparent exit from consumer IT and the high price-tag of Autonomy, let's actually give Léo some credit. He needed to make some tough decisions, and do them quickly. And in the process they've stated their reduced earnings outlook. Yes, HP may have just ripped off its own BandAid, relieving the agony quickly and avoiding a slow and painful journey at a time when the economy sits on a knife-edge. In one full swoop, Léo's sent his firm on a path where we can actually understand what HP's game-plan is all about. If HP had continued down its confused previous path, it would surely have faced being broken up and spun-off into all sort of assortments and flavors. Let's be honest - could we really see HP giving Apple and Google a run in the consumer space? Was HP really in the right shape to lead PC sales in a fast-commodotizing market? Meanwhile, they've clung onto their enterprise IT and services businesses and are slowly rolling out some meaningful strategies that can leverage their global presence, their industry strengths and massive footprint of enterprise clients. Provided the firm can now structure its units successfully, HP has now chosen its path to go after IBM in the enterprise arena. A smart acquisition or two to bolster its enterprise services presence, a well-executed management and business re-organization, a cohesive and clear marketing plan, and we may yet just see this company start to fulfill some of its potential. Brandi Moore: Self-proclaimed expert on "Outsourcing Culture"
We were woken this morning with a nudge from our friends at Outsource Magazine that one of their contributors, Brandi Moore, had dared to take a few pot shots at a report we produced earlier this year that looked at the promise of Latin America as a sourcing location (get your free copy here). In Brandi Moore’s “painful” interpretation of the joint research we did with Softek about Latin America as a sourcing destination, she manages to disparage an entire industry, ignore the facts, offer tired examples as brilliant self-aggrandizement, and demonstrate a poor understanding of her supposed field of expertise (culture). We often take a tongue-in-cheek approach to our coverage here, but we take the accuracy of our research and reporting very seriously. As a Latino who spent exactly half his life in the US (Massachusetts, Illinois, Texas) and the other half in various Latin American countries (Costa Rica, Brazil, Mexico), and India (Bangalore), I feel uniquely qualified to comment on cultural impact in cross-cultural communication and work. And as someone who has had the honor of working for two outstanding members of the outsourcing provider industry (Accenture and Infosys) and worked on over 200 outsourcing relationships as an advisor, I have some clue about how culture impacts delivery. It isn’t clear to me that Ms. Moore has ever lived abroad as a professional, and she has never been responsible for service delivery from the provider side of our industry. She does, however, believe that her background in “forensic science” makes her qualified to comment on culture in outsourcing and why most of you seem to be doing it wrong. Be warned - there's a complete end-end HRO schmooze-fest coming... to Atlanta! You have been warned... there's an HRO schmooze-fest on the horizon, amidst the cool late summer breeze of picturesque Atlanta. Yes! The HR Outsourcing Association burns white-hot as it integrates the HRO buyers' group, the RPO Alliance, the Absence Management Academy* - and every other HRO special interest group ever dreamed up - into one star-studded, fully integrated cornucopia of HRO. Yes! If you still care about HRO, you will be there reminding yourself - and anyone else who will listen - that no matter how bad things get, you can always find nice places to outsource your payroll, benefits and offboarding hotline. And in case you're still undecided about dusting off that stagnating Delta airmiles account (which has probably expired), we can exclusively reveal that HfS will be speaking, schmoozing and signing commemorative copies of the famous 2004 HROToday archive editions. And yes! 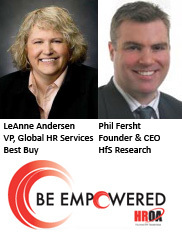 You'll also get the chance to find out why Geek Squad and Magnolia Theater reps are just so nice... from LeAnne Anderson, Doyenne of HR services at Best Buy. The healthcare payor BPO situation in 2011: Will Reform shatter a complacent industry? No living member of the human species knows more about healthcare payor BPO than Tony Filippone (this also extends to other species such as consultants, lawyers etc). 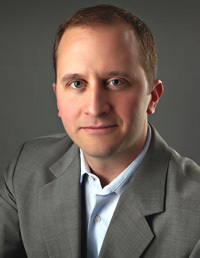 Prior to his reincarnation as an analyst with HfS Research, Tony spent the last nine years of his existence tackling everything from print and document management, to call center ops and real estate management, through to procurement and strategic sourcing, for $60 billion healthcare payor giant WellPoint. And now the fella gets to elaborate on his experiences and help sustain the issue of healthcare costs beyond a level even more riveting than which young lady Justin Bieber was spotted with last week (no kidding - actually a true fact). 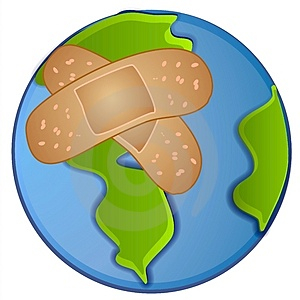 The Healthcare Payor BPO Landscape in 2011: Will Reform Shatter a Complacent Industry? You’ve probably heard the news: health care costs are rising. Since 2002, U.S. health care expenditures have doubled. This major increase has dwarfed almost all the major world news stories over the last six years, as shown in Exhibit 1. 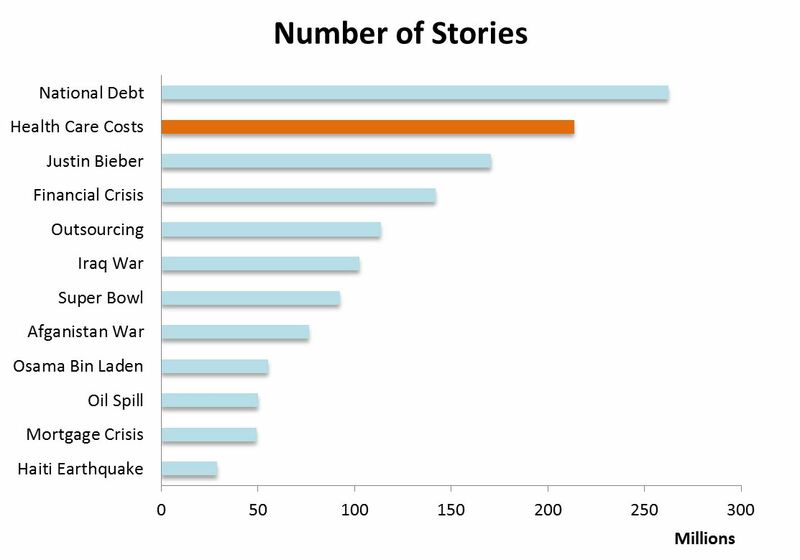 Only the U.S. national debt has received more news coverage than health care costs. Thank goodness it edged out news stories on Justin Bieber. Health insurance has long been the vehicle most consumers use to access affordable care, whether through employers, federal government programs (Medicare), state government programs (Medicaid and CHIPs), or individually purchased coverage. And, despite the value health care payors provide their customers, payors’ processes are complex, manually intensive, and prone to error. One consumer’s visit to the hospital generates substantial legal paperwork, complex approval processes, coordination of benefits with other insurers, and a blizzard of bills, notices, and follow-up calls that require months to resolve. The processes are so poor that a “mini-industry” of service providers thrives on collecting overpayments and underpayments resulting in several pending lawsuits. The American Medical Association believes payment inaccuracy alone costs the industry $17 billion annually. HfS Research Director Brian Robinson knows what it's like to be a small fish in a big pond - he's about 5'6" and living in a tiny studio in the middle of Rome. After much deliberation, debate, and a few of bottles of red wine, HfS Research is announcing its 2011 Offshore Challengers: EXL Service, UST Global, MindTree, Hinduja Global Solutions, Hexaware, Intelenet Global Services, and L&T Infotech. All are mid-sized providers of IT and business process services that do some great work with their clients. We detailed our findings here in the first report of our HfS Challengers Series. When the team first discussed the offshore challengers report, we wanted to highlight those providers in the industry that rarely get the same media attention or focus that other large competitors often receive. As such, we set out to find providers that fit our profile as a Challenger, and, once identified, we dug in deep to find out who they are, what they do, and their plans for future growth. Along the way, we learned that despite the Challengers’ smaller size, each has several key - and large - clients that they have supported for a number years. This focus gives them critical domain expertise that they continue to invest in and improve. Additionally, each has group of talented and motivated management teams that continue to push the envelope on service delivery and process efficiency. Have we spotted a trend here - where large buyers of services rely on smaller providers in a cooperative relationship? In June 2011, niche technology firms QuEST and Cades won a lucrative $300M in a competition against both Infosys and Mahindra Satyam, as reported by the Economic Times here. This evidence supports the fact that, regardless of service type, Buyers seek the right fit between their organization’s needs a provider’s core capabilities. Provider size and scale matters, but they are just two of many key evaluation metrics. Phil Fersht: Don, you said to me a year ago that shared services is certainly not dead. Can you elaborate on that? Don Schulman: Yes, I think you and I agree on this. 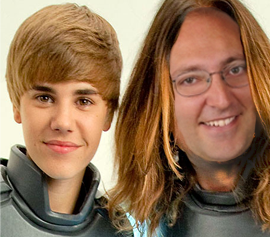 As you know, back in the mid ‘90s I was one of the leaders in the world of shared services and drove that industry. And I was kind of sad when outsourcing was first created because I thought, “Oh my gosh, this is ending.” But I quickly concluded when I took over this business that, in fact, it’s not ending at all. I believe our clients need to maintain the governance, the management system of classic shared services within their organization. As outsourcers, we become an extension of that. It’s almost like a buy/lease option to the client. Do I own it, or do I lease it? And why would I do one versus the other? Working with an outsourcer gives clients the advantages that come from greater scale and investments in technology that are beyond their own limited capabilities. But it’s much more than that. For companies that actually want innovation, what’s the change that needs to happen, where’s the next big place we’re going to go, what’s the next big technology change, what’s the next big investment I need to make as a company to drive processes? They need to have a transformation partner at their side that is actually on the ground doing the work. That’s how this partnership works.